“Pacific Overtures,” Stephen Sondheim’s musical about the opening of U.S.-Japan relations in the 1850s, is extending its run at Chromolume Theatre, 5429 W. Washington Blvd. (half a block west of Hauser Avenue) in Los Angeles. Originally scheduled to close on Dec. 17, the show will be performed on the following dates due to popular demand: Friday, Dec. 22, at 8 p.m.; Saturday, Dec. 23, at 3 and 8 p.m. Use discount code PAC30 for 30 percent off the usual $30 ticket price. The cast: Paul Wong, Cesar Cipriano, Daryl Leonardo, Marcel Licera, Pete Villavicencio Jeensalute, Daniel Koh, John Michael Sala, Julia May Wong, Gibran Mahmud, Kevin Matsumoto, and Reuben Uy (understudy). 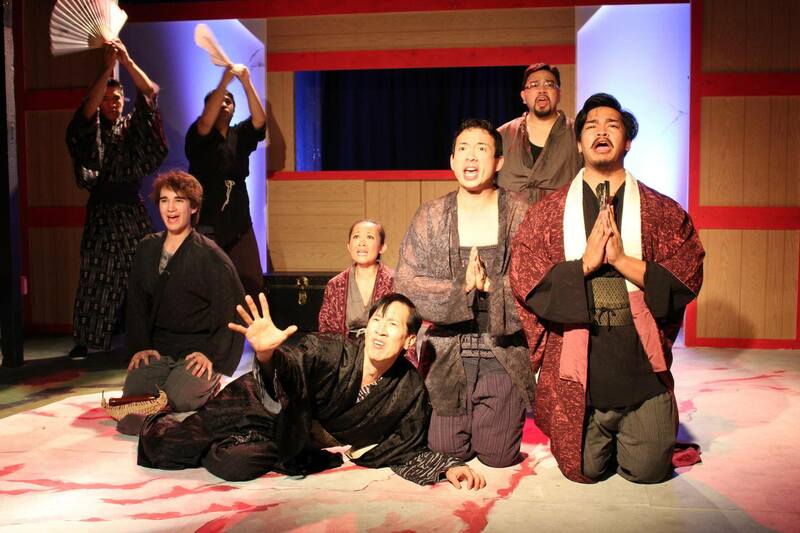 This marks the first L.A. production of “Pacific Overtures” since 1998. Alvin Ing, a member of the original Broadway cast more than 40 years ago, attended the matinee performance on Dec. 3. For more information, go to www.crtheatre.com/pacific.html.